Waze has been in the news a bit recently for possibly maybe almost not really getting acquired by Apple, but the real way the company makes its name is through its app, which is a crowd-sourced GPS and navigation system (which also supplies traffic data for Apple Maps). Waze has announced some numbers, and impressively the app has built up 34 million users in 2012, and expects to double that in 2013. 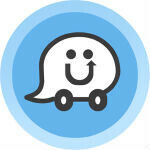 Waze begun 2012 with just 10 million users, which went up to 28 million by the end of October, and the app finished off the year with 34 million users. The blog post went on to put in an inane infographic, which we've chosen to not include here because it didn't actually include any real information about Waze, and was more of an advertisement for crowd-sourcing than anything else. Waze says that it expects to finish off 2013 with about 70 million users, and the company goal is to save users 5 minutes per day. And, based on the infographic, that time could be used to cure malaria. Just looked at the infographic and I really don't get it. How am I going to save gas by using gas by using Waze? For the most part, all of the navigator apps provide very similar directions. Don't know what they are comparing to and it just doesn't make sense. Great app. I hope they do very well this year.